Amazon is now accepting pre-orders for Snow Leopard and the Snow Leopard box set. 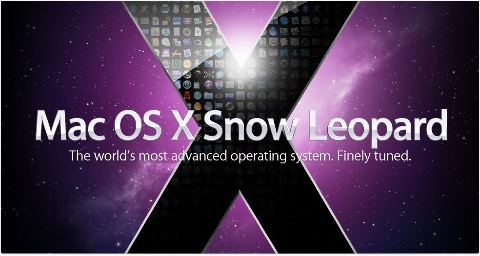 There is still no official release date for Snow Leopard but Apple has said that it will be available in September. Order Snow Leopard through one of the following links and you will help support mickerlodeon. Update 8/12/09: John Gruber of Daring Fireball says that Snow Leopard build 10A432 is indeed gold master and that Apple may even be releasing the new OS on August 28. I’ve also heard some rumors that Snow Leopard was going to launch earlier than Apple had originally planned but was unable to obtain the actual date. Update 8/12/09: AppleInsider is detailing a number of changes to the Snow Leopard install process in the most recent build (10A432). Rosetta and QuickTime are no longer installed by default, “Erase and Install” and “Archive and Install” options are no longer present, a software compatibility check that will move incompatible software to another folder, etc.